I was never a particular fan of George Michael’s music. I liked some of his songs but not others. However, I was interested enough to record his film ‘Freedom’ when it was recently broadcast. He had almost completed it before his unexpected death at the age of 53 and had received great reviews for his production values and for the open nature of the content. As I watched it, I was struck by his honesty in the interviews, his intelligent response to questions about the music industry and his ability to adapt his style throughout his singing and writing careers. But there was one aspect of the film which really affected me. George had the ability to fully inhabit the words of the songs he wrote. He wore his heart on his sleeve and when you watched him sing there was no doubt in your mind that he meant every word. His face and his body language exuded emotional connection. Because of that he made me feel really happy at times but he also brought tears of sadness to my eyes in some of his deeply felt ballads. Does your face convey your absolute conviction when you are conveying your business message? Does your body language show a confident, positive manner when you meet new people? You will probably have heard that science tells us that others make assumptions about as very quickly based on how we look and how we sound. Are they balanced or are they a restless? Is eye contact easy or shifty and uncomfortable? Is the face showing warmth and welcome (with a smile)? When, in conversation, does the face reflect real involvement in the words being spoken? Are you able to hear the relevant emotion? The fact is that Playing the Emotion Card is not an option, it’s a necessity. When someone meets you in a business context there needs to be something which makes you stand out from the crowd. If you think about the last time you spoke to someone in a foreign call centre you will understand what I mean by a disconnect with the words. It is not weak to show emotion when speaking about something which matters to you, it shows personal conviction and belief. Others are more likely to connect with you and your business if you are open and honest. When Public Speaking, of course, this is especially important. Emotion is an essential element of inspiring, informing and motivating. Your message will be more powerful if you include an emotive personal story. Warm and open people draw others to them. So what was the end product of watching the ‘Freedom’ film? 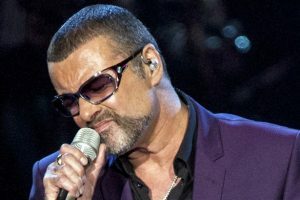 Well, I shall be downloading George Michael’s songs and giving them another listen. I think his ability to let me into his feelings has gained him another fan! Enjoy your networking and Public Speaking this month. Get out there and show your emotions.